Reversible brass latch bolt chrome plated with 10mm throw. 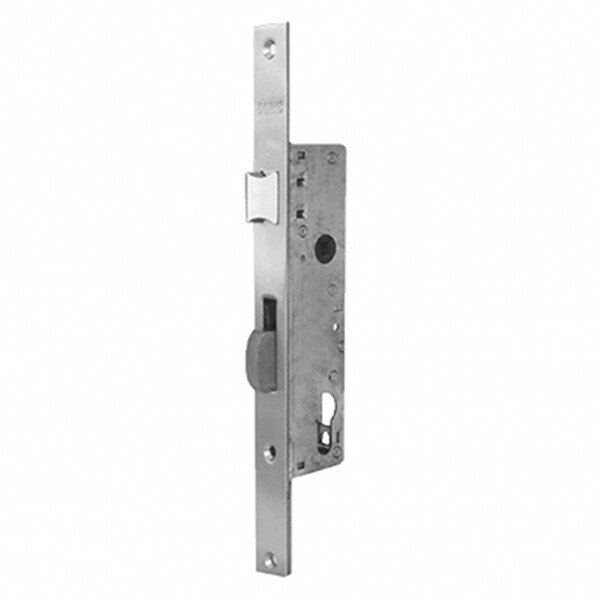 Steel deadbolt, 26mm projection, with hardened steel middle plate. Narrow 24mm x 290mm face plate.